Today we drove from Wilderness to Dolphin Pass, where we saw more whales. 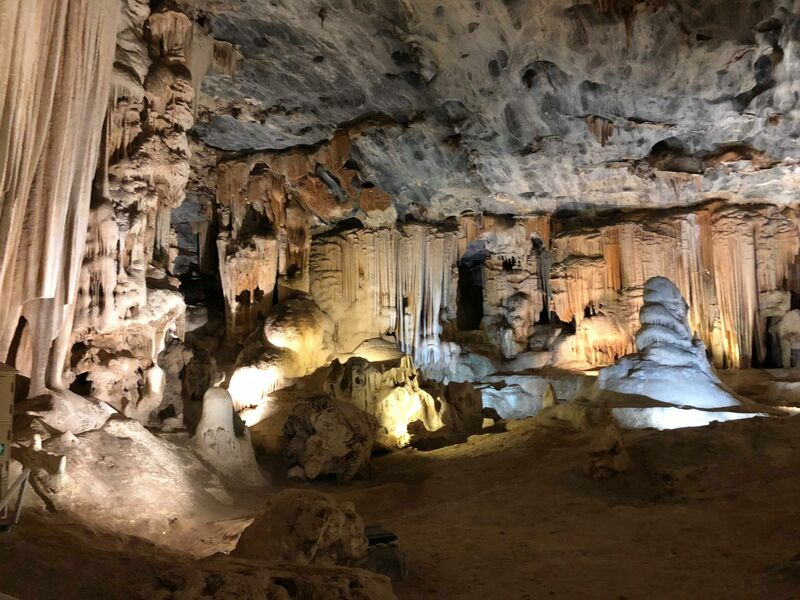 Then from there we drove through Oudtshoorn to the Cango Caves. 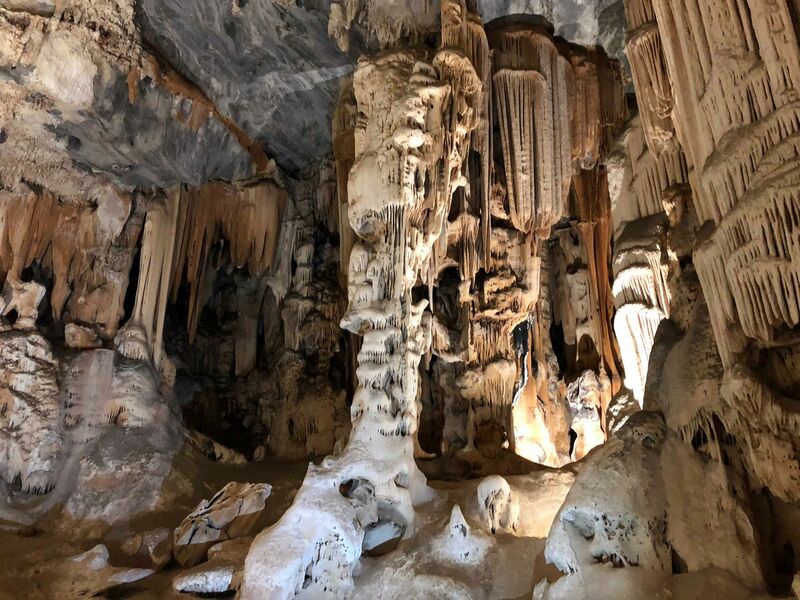 The Cango Caves are located in Precambrian limestones at the foothills of the Swartberg range near the town of Oudtshoorn, in the Western Cape Province of South Africa. 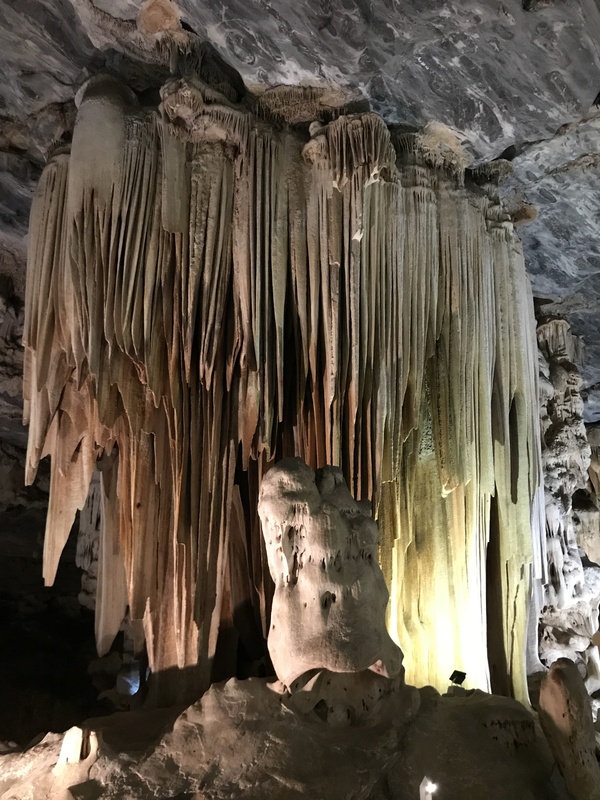 The principal cave is one of the country’s finest, best known, and most popular tourist caves and attracts many visitors from overseas. 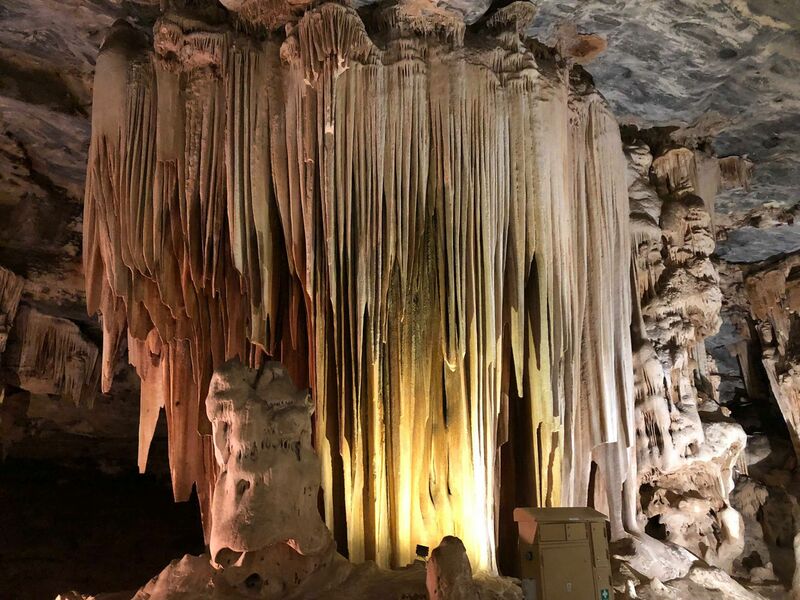 Although the extensive system of tunnels and chambers go on for over 4 km (2.5 mi), only about a quarter of this is open to visitors, who may proceed into the cave only in groups supervised by a guide. When we came home we saw a pod of dolphins swimming in the waves outside our room. They were having great fun surfing! 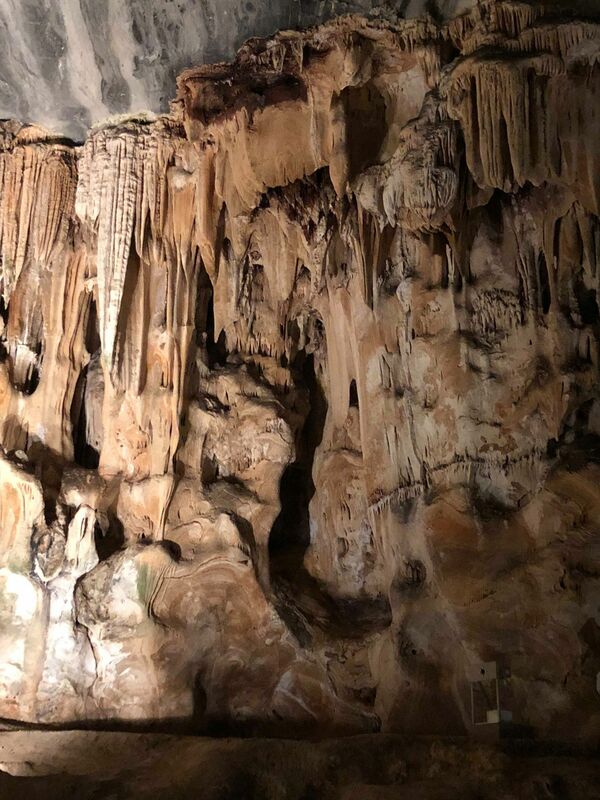 We had supper at a gorgeous local steak bar called Joplins and then went to sleep with the sound of the sea in our ears.